THE DEEP plunges readers into a dangerous, underground world policed by members of The League, a secret group of women and men who use their intuitive abilities to detect energy surges far below the earth’s surface. In the deep, ancient sources of malevolent energy are bubbling up through the bedrock, and only members of The League know how to detect and seal the leaks that allow evil to enter the world. Nyla Evans knows nothing about the war being waged beneath the city. It has been almost a year since she moved from Ramstein Air Base in Germany to Brooklyn, and Nyla is still searching for a way to belong. It doesn’t help that she has started to hallucinate while walking the city streets, but things get even stranger when a man named Osiris approaches her and offers to introduce Nyla to others who have similar “gifts.” When Nyla refuses, her friend D is kidnapped and held in the deep until Nyla agrees to let Osiris guide her underground. There, miles beneath Brooklyn, Nyla meets Lada—the mother who abandoned her a decade ago. Furious that Nyla is being recruited by The League, Lada tries to prevent her daughter from following in her footsteps. But Nyla feels at home in the deep and her training begins at an accelerated pace when The League discovers an earthquake will soon hit Brooklyn, releasing unprecedented levels of malevolent energy into the city. Oooh! Exciting! I can’t wait to visit with Nyla and D again! Congratulations! 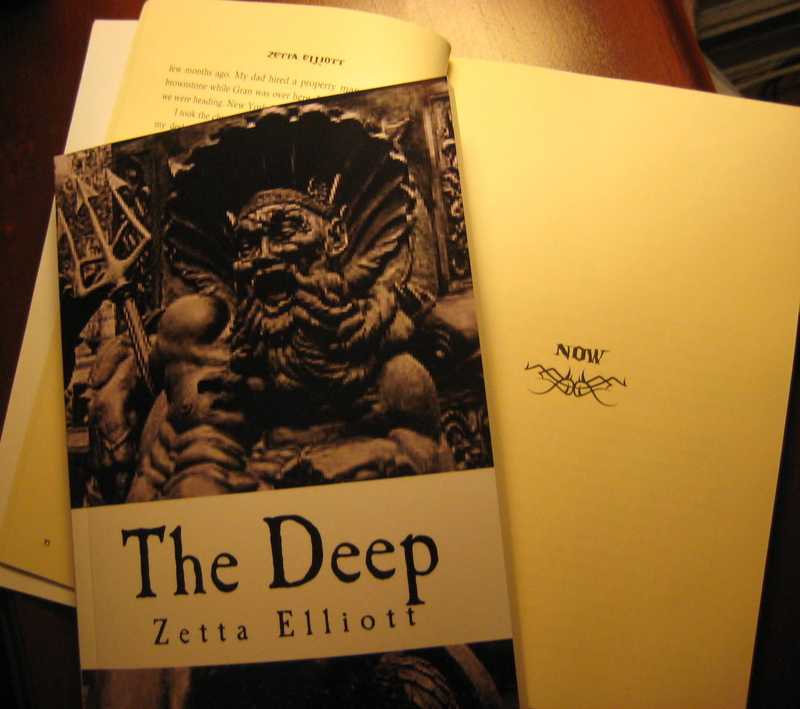 I look forward to reading The Deep.